If you’re decorating and looking at shades of blue paint, you might be interested to know that blue has been an important colour in both art and decoration since ancient times. Public opinion polls carried out in the US and Europe show that blue is the most popular colour. It was chosen by almost half of both men and women as their favourite colour. There seem to be infinite shades of blue paint. As blue works well with every other colour on the colour wheel; you will be able to find a use for it in all the rooms in your home. 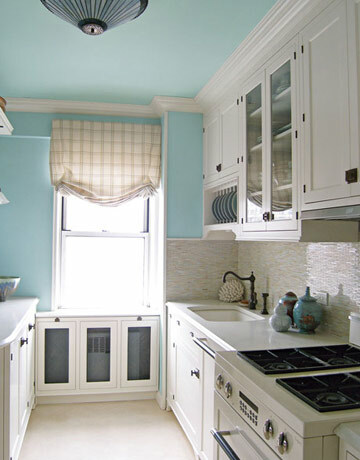 Aside from the fact that light shades of blue paint will make a small room appear larger, and a very sunny room appear cooler; the different shades of blue are deemed to have differing psychological effects. It may be useful to bear them in mind when choosing your colour scheme. 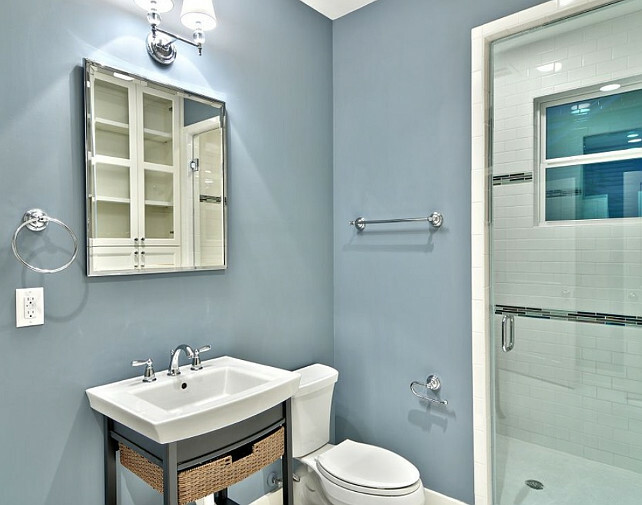 Lighter shades of blue can be used to create a cool, clear look. They can make a room feel clean making them the ideal choice for a bathroom, kitchen or utility room. In the kitchen they can bring the feel of the outdoors inside, as kitchens usually overlook the garden. This leads to a more harmonious marriage of the outdoor space with the indoor one. 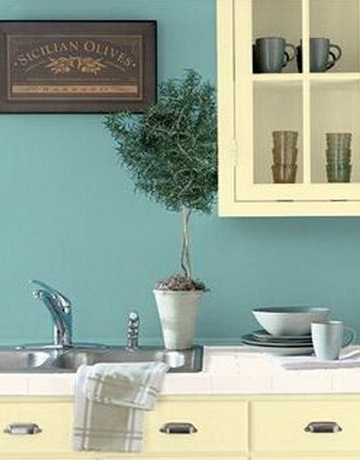 Interestingly, it has been suggested that painting your kitchen blue suppresses the appetite! As there are very few blue foods, and blue on food generally denotes mould, humans are programmed to avoid it. Some slimming experts have suggested that people who are trying to lose weight should eat from blue plates. 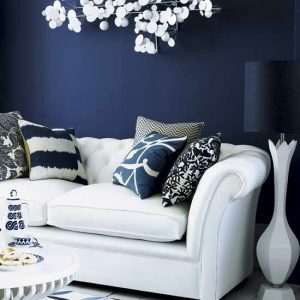 Warmer shades of blue can make a room feel cosier. This makes these shades ideal for the social spaces in your home; the kitchen, living room and dining room. Dark blue is associated with knowledge and professionalism. Dark blue can be the ideal colour to use in a study or home office. Research has also shown that people are more productive in blue rooms as this colour encourages focus. Perhaps the reason that people like the colour blue so much is due to the physiological effects that it has on the body. It is a colour that inspires calmness, relaxation and tranquillity. It reminds us of the blue skies and seas in nature. It can promote not only an atmosphere of work, but also of meditation. 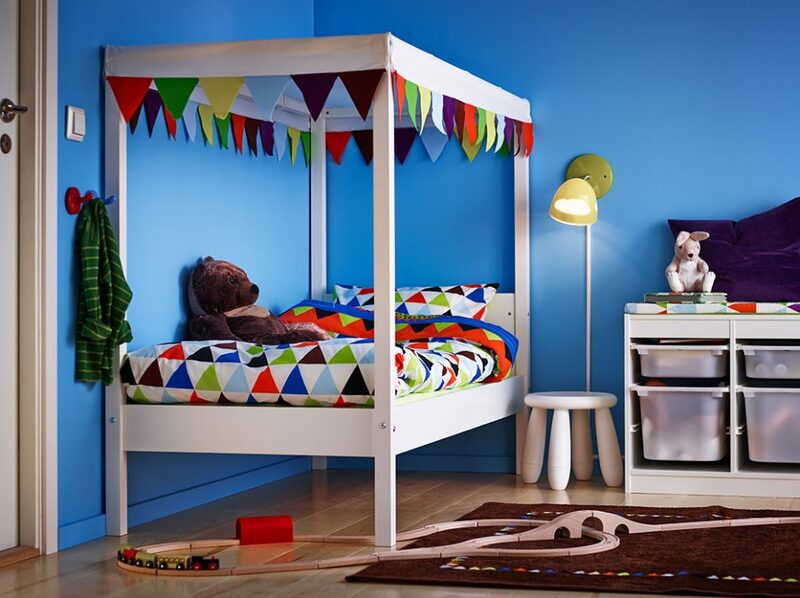 The place that shades of blue paint come into their own is in the bedroom. They have been shown to slow the pulse rate, lower the blood pressure and lower body temperature. The colour blue causes breathing to deepen and reduces perspiration. Deep blue stimulates the pituitary gland which in turn regulates sleep patterns. Lighter blues can be useful in eliminating insomnia. So mixing dark and light shades of blue together should give you a more peaceful night’s rest. Have you decided on which shades of blue paint you want for your decorating project? You’ll get a professional finish and an excellent service with Murphy Bros Decorators.